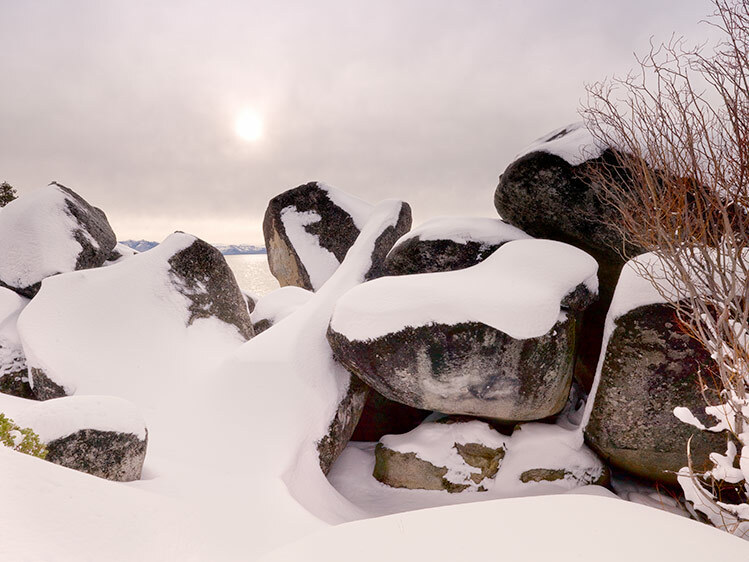 I have posted a new portfolio of contemporary Sierra landscapes, which I have titled the "Pale Sun" series. These were all inspired by the pale winter sun of early January. The images were taken in the north Tahoe area, including the eastern shore of Lake Tahoe and the Truckee river. The portfolio can be seen on my web site under the Pale Sun series link. I am also experimenting with an assortment of new papers that have more of a luster finish, so far my favorite is the Crane Museo Silver Rag, which has great depth and warm tone.